Receiving questions like this isn’t unusual for me since writing Doctors, Lawyers, Indian Chiefs: Jim Thorpe & Pop Warner’s Carlisle Indian School football immortals tackle socialites, bootleggers, students, moguls, prejudice, the government, ghouls, tooth decay and rum because I have probably researched Carlisle Indian School football players’ lives more than anyone has. This is normal and not discouraged because I also ask other authors questions about topics they have researched. Chris is researching the Oorang Indians NFL team that played in the 1922 and 1923 seasons for a future book, one that I’m looking forward to reading. Something I’ve never seen is a color photo of an Oorang Indians uniform and hope Chris finds one. I’m told they were maroon and orange and looked just like the one Eagle feather is wearing in the photo. If anyone has one or knows where one can be found I’d appreciate being informed. I’d also appreciate learning anything you might know about Eagle Feather (which might not be his name because Walter Lingo made up names for some of the players). Email me with anything you might have, no matter how small unimportant it might seem. Carlisle received the opening kick off and moved the ball quickly to Harvard’s end of the field but were unable to push the ball across the goal line. They turned the ball over on downs at the Harvard 2-yard line. On their second possession, the Indians bogged down well into Harvard territory and Jim Thorpe kicked a field goal from the 15-yard line to open scoring for the game. Harvard soon countered when Hollister drop-kicked a field goal of his own to tie the score. There was no further scoring in the first quarter. In the second quarter, Carlisle rushed the ball to Harvard’s 40-yard line but could get no further on this drive. Thorpe then kicked his second field goal of the game from 47 yards out. Unfortunately for the Indians, they would later fumble the ball and a Harvard player, Hollister, recovered it on the 50-yard line. On the next play, Reynolds broke through the Indians’ line and, after the Indians thought he was down, popped to his feet and ran for a Harvard touchdown and 9-6 lead at halftime. Note that touchdowns were worth 5 points and the goal after 1 point while field goals counted 3 points at that time. After a series of line plunges late in the third quarter, Alex Arcasa pushed the ball over for Carlisle’s only touchdown of the day. Thorpe kicked the point after. Thorpe also kicked another field goal to close out scoring for that quarter. Harvard put in its fresh first team for the fourth quarter and made good yardage at first, but the Indian line eventually held. Thorpe kicked his fourth field goal of the day to complete Carlisle’s scoring. 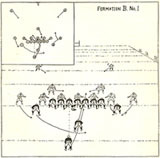 Harvard would get its second touchdown for the day when Storer blocked Thorpe’s punt from the 36-yard line, recovered the ball, and ran it in for a touchdown. Fisher completed the scoring for the day at 18-15 by kicking the point after touchdown. Carlisle almost had a touchdown of their own in a similar fashion but, instead of falling on the ball, several players attempted to pick it up and run with it. A Harvard player eventually fell on the ball behind his goal line for a touchback. Possum Powell excelled at line plunging throughout the day while Gus Welch, Arcasa and the badly injured Thorpe ran around the ends. The Carlisle line, without Captain Sam Bird for the whole game and Bill Newashe for most of it, outplayed the Crimson line making the backs’ gains possible. This game has been rated as one of the greatest college football games of all times by experts. 100 years ago on November 11, 1911, Carlisle achieved perhaps its greatest victory when the Indians defeated the Harvard Crimson 18-15 at Cambridge. This game is also considered to be Jim Thorpe’s greatest and one of the best games ever played in the annals of football. Newspaper articles in the days leading up to the game, reported that Harvard Coach Percy Haughton planned to start his second team to wear down the Indians, who were known to make few substitutions, and put his first team in later in the game to finish off the exhausted Indians. So confidant in his strategy was Haughton that he didn’t bother attending the game. Instead, he spent the day in New Haven, CT scouting Yale for the upcoming rivalry game. Warner was confident about his team’s chances even though he said Captain Sampson Bird and tackle Bill Newashe would probably be unable to play because of injuries but he said nothing about Jim Thorpe’s leg and ankle. Prior to the game, Warner bandaged his star tailback’s leg and swollen right ankle so that he could play, even if he couldn’t run at full speed and cut to escape would-be tacklers. Warner kept Thorpe’s condition a secret as part of his game strategy. Knowing that Harvard would be keying on his All America halfback, Warner used him mostly as a decoy who blocked for the person who was actually carrying the ball. A well-run single-wing offense, with all its fakes, makes it difficult to determine who has the ball. Guessing that Thorpe had it wasn’t a winning strategy for Harvard’s defense that day. Newashe was able to start but couldn’t finish the game as Hugh Wheelock substituted for him later in the game. Thorpe was eventually replaced by Eloy Sousa but not until his damage was done. 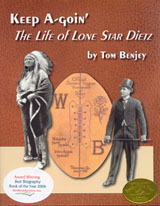 Readers will learn who became doctors, lawyers and Indian chiefs. Some became musicians and led all-Indian bands. One was invited to join Richard Byrd’s Second Antarctic Expedition. Another was instrumental in establishing the Rose Bowl. Readers will also learn more about the naming of the Washington, DC NFL team and about the all-Indian NFL team. Several served in WWI even though non-citizen Indians were not drafted. Most lived long, productive lives but some didn’t. 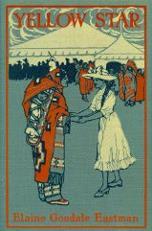 Some married girls they met at Carlisle, others married white girls and still others married girls from the reservation. One even married a congressman’s daughter. The reading level is such that anyone from seventh grade through senior citizen can appreciate it and It is my hope that school children will read it to gain a better understanding of their history. Yesterday, a reader asked about Wisconsin’s Carlisle Indian School Immortals, wondering if it would be a series of blogs or a book. That tells me it’s time to talk about it a bit. Last year I wrote Oklahoma’s Carlisle Indian School Immortals, Volume I of the Native American Sports Heroes Series. I have now completed Volume II of that series. Wisconsin’s Carlisle Indian School Immortals will be released on September 1. Like the earlier book, it follows 17 football stars with ties to a particular state, Wisconsin in this case, from their childhoods on the reservation, generally, to their time at Carlisle, and through their later lives. 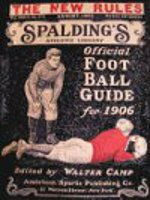 Background chapters on Carlisle Indian School, its legendary football teams, and coach “Pop” Warner set the stage for the individual biographies. Not included are busts of the players drawn by Bob Carroll. 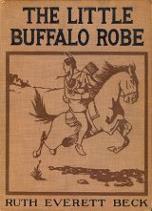 Bob graciously drew those for Oklahoma’s Carlisle Indian School Immortals just before the end of his life. In their place, is a map that shows all the Indian Reservations in the state of Wisconsin which is intended to assist the reader in knowing where these people spent their early childhoods and, in some cases, returned to after finishing at Carlisle. It is my hope that historians, teachers and librarians review this book and make it more available to students who would learn a lot about how disadvantaged people overcame obstacles to excel. Copies of the softcover version of Oklahoma’s Carlisle Indian School Immortals are now in stock for June 1st release. Both were admitted and were attending Carlisle within a month. Both were active in school life and joined literary societies shortly after enrolling, Martha in the Susans and Edmund in the Standards. Dennison Wheelock was pragmatic about where Indian children should be educated. He preferred that they be enrolled in the public schools unless there was good reason to send them elsewhere. His experience at Carlisle evidently convinced him that it was a better environment for his son than his home town. Researching the lives of Martin, Joel and Hugh Wheelock was made more difficult because their relationships to each other and to other Wheelocks at Carlisle Indian School, of which there were many, are not entirely clear. It wasn’t hard to determine who their fathers were. Censuses reflected that James A. Wheelock was the father of Joel and Hugh and Abram Wheelock fathered Martin Wheelock. James and Abram were surely related to each other and could have been brothers or cousins. The fun begins. On the 1885 census, the earliest on I found that had Martin listed, no mother was mentioned. Eventually, I found the Powless Diary, which contained an entry for 1879 that stated, “Sunday, wife of Abram Wheelock, Mary Ann, age 26, died May 4.” Martin’s parentage was established—or so I thought. Then I encountered another entry that might be relevant: “Wife of Abram Wheelock, Lucy died August 29.” I then noticed that the entry was for 1869. Because Martin was born about five years later, Lucy couldn’t have been his mother. It must have been Mary Ann. The 1891 Oneida census is the first one on which I found Joel (2 years) and Hugh (3/4 year) listed. Their father was James A. Wheelock and his wife was Sophia. The James Wheelocks’ had 10 children listed. The oldest was Dennison, 19, and the youngest was Hugh. However, they couldn’t have all been Sophia’s children because she was only 27 at that time. I noticed two gaps in the ages of the children: one between James R., 14, and Wilson, 11; the other between Josephine, 8, and Louisa, 3. Sophia was very likely the mother of Hugh and Joel. She could have been the mother of Wilson, Ida, Eliza and Josephine, but that’s not a mystery I have to solve—at least not yet. She surely isn’t the mother of Dennison and James Riley, as I have seen stated elsewhere, but that isn’t my problem, either. Later, Sophia died and James A. Wheelock married Lena Webster and had children with her. The 1905 census lists her, then a widow, as the stepmother of Joel and Hugh and the mother of children she had with James. To complicate matters further, Lena soon married Martin Wheelock and had children with him. The advance reading copies (called ARCs in the trade) arrived for my new book and are being sent out to reviewers. This is a big moment in a writer’s life: seeing thousands of hours of hard work turned into something tangible. In the old days (pre-computer), ARCs were called galleys, bound galleys or galley proofs. Authors, editors and publishers go over these babies with a fine-tooth comb looking for errors, typos or things that have changed since writing was complete. It is an impossible task because, after all this scrutiny, some typos escape and find their way into the final book. But we try. Another important use of ARCs is to see how the photos and artwork come out in print. Overall they came out very well, better than expected. But a cartoon about the Oorang Indians from a 1922 Baltimore newspaper is too dim. The challenge now is to figure out how to darken it without losing the detail. This weekend I received some additional information and a correction regarding Louis Island from a family member who happened to see a previous blog. That was fortuitous because I want the book to be as accurate as possible. This blog is already proving to be of some value. That encourages me to continue with it. Having these ARCs provides local booksellers the opportunity to provide their customers something extra. People can look at an ARC and pre-order the book if they choose. 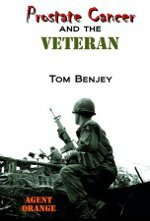 The bonus, besides being sure of getting a copy of the book as soon as it comes out, is to receive an inscription of his or her choice signed by the author. On-line booksellers also take pre-orders but personalized inscriptions are impractical.